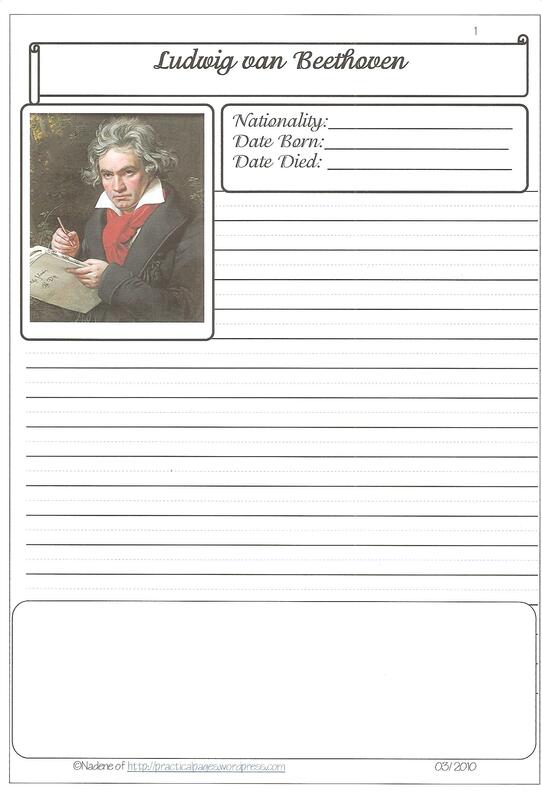 I designed these notebook pages to go with the Famous Musicians Wall Chart. Have you already downloaded this? 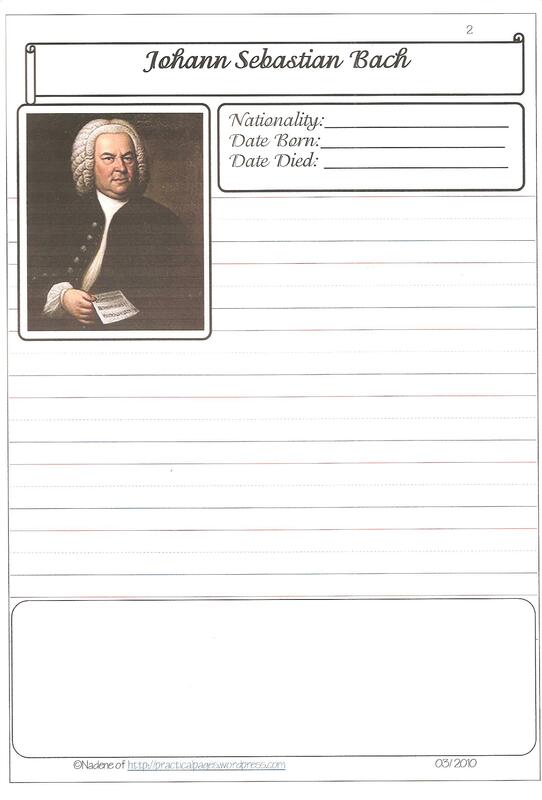 I suggest you print the complete set of biography pages and keep them in your Notebook File. 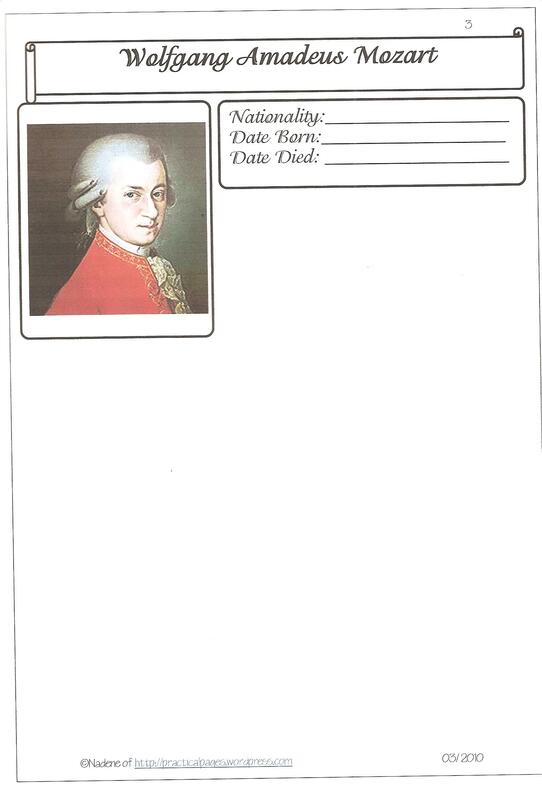 Then they are ready for your child’s composer of the month study. You could use Charlotte Mason’s free curriculum on Ambleside Online as they offer a free Composer Schedule, online radio links and suggested book titles or biographies on famous musicians. I hope to bring you a lapbook or minibooks to complete this bundle soon. Please sign up for an email notification or put my RSS feed on your homepage! You’ll find this on my sidebar halfway down. We just began Beethoven today. 🙂 Thanks for yet more printables. These are nice printables, and I thank you for making them, but I think you should know that the image for Brahms is actually a picture of Robert Schumann. Thank you @Sally, I will check it out!